This Sunday (11th Feb 2018) COGS will be putting on a massive game of Kings of War at the ROBIN show in Nottingham. 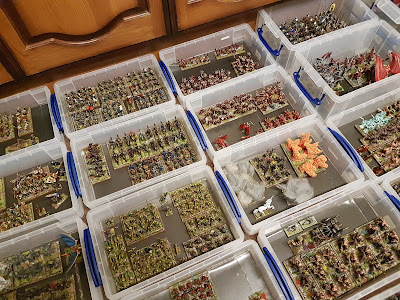 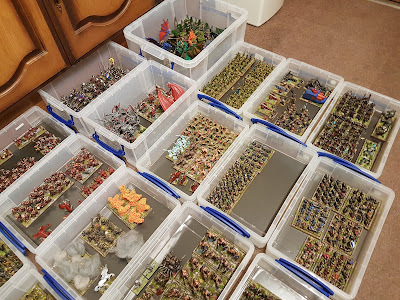 I'm spending most of the week preparing for the event and have just finished putting together the armies I'll be taking along for the game. 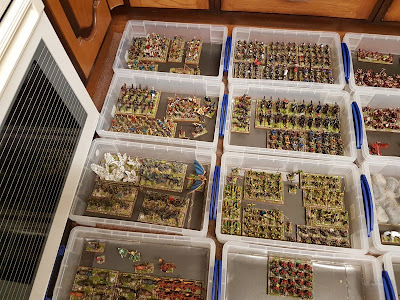 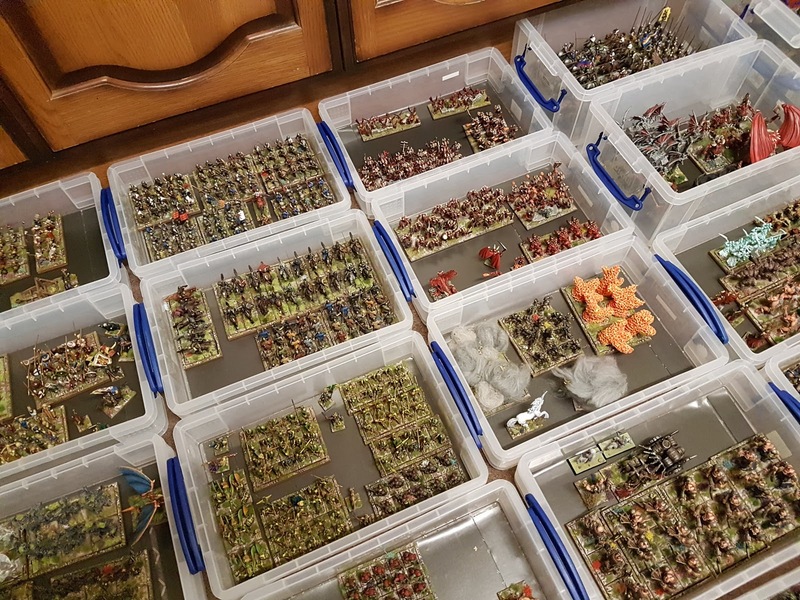 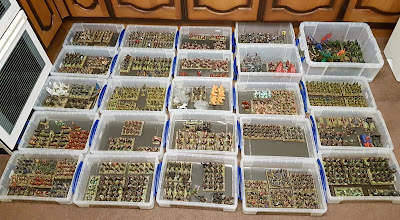 With these and the armies the other players will be providing we should have 26 armies and over 30,000 points per side. 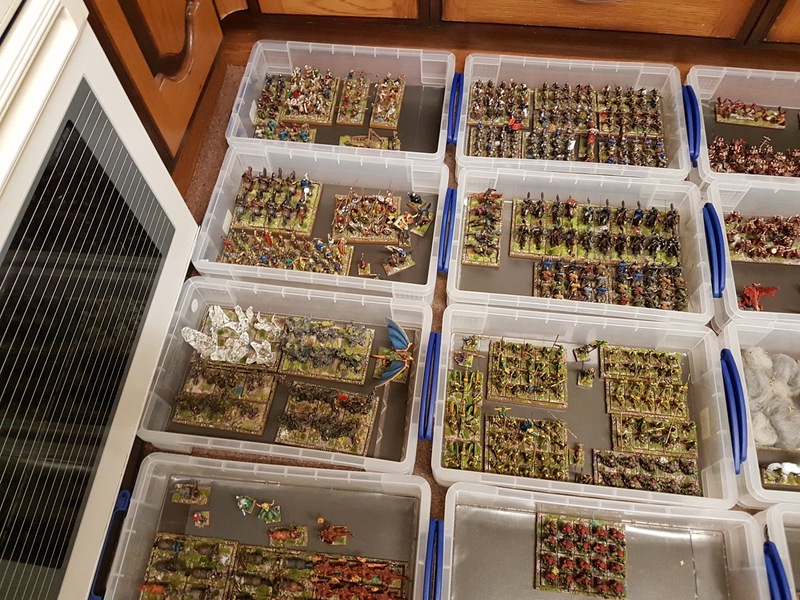 We've only got 12 of us playing so if you can help out please contact me!